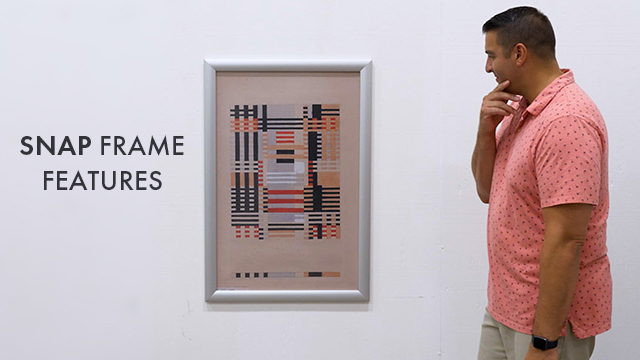 This 36x48 Snap Frame Is Perfect for Displaying Large Format Poster. There Are Many Sizes Sold Online. 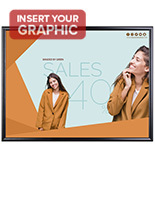 Purchase This 36x48 Snap Frame Now While Supplies Last! Media Size: 36" x 48"
12" x 24" 13" x 19" 16" x 20" 18" x 24" 20" x 30" 22" x 28" 22" x 56" 24" x 36" 27" x 40" 27" x 41" 30" x 40"
Extra wide, 1-1/2" profile boldly accents posters, while making the frame more rigid and stable. 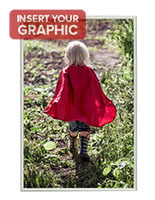 Four snap open sides make changing graphics easy. 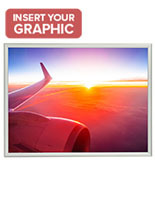 36" x 48" Size for large format prints is ideal for use in large open areas. Satin silver finish coordinates easily with any décor and images. 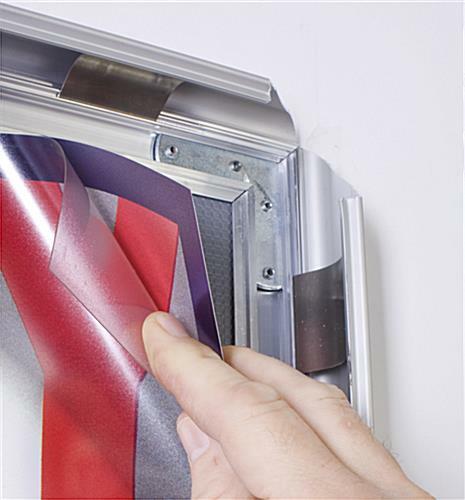 Flexible, non-reflective plastic lens is included to keep posters free of dust and fingerprints. 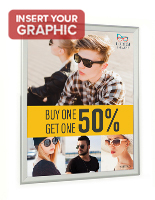 An advertisement display, wall-mount 36x48 snap frame is a great way to display promotions, store specials, artwork or a new product promo posters. 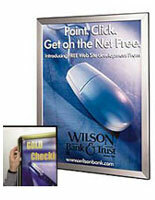 The advertisement holder is designed to accommodate 36" x 48" graphics. 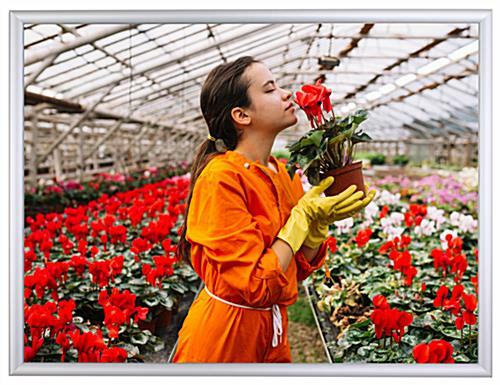 This 36x48 snap frame that mounts vertically and horizontally can be used to display any portrait or landscape style picture. 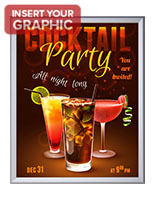 Due to its large size, your posters and advertisements are sure to attract attention. This 36x48 snap frame, such as an advertisement display or picture holder, is ideal for showcasing a beautiful piece of artwork. The advertisement display is constructed from aluminum with a satin silver finish that blends in easily to any environment. This picture holder, 36x48 snap frame is perfect for use in movie theaters, hotel lobbies, retail stores, conventions, studios and hallways. An advertisement display, like this poster hanger, is the perfect solution for all your advertising and retail store signage needs. 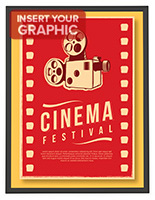 This 36x48 snap frame that has clip open sides permits fast and easy poster changes. All four edges snap open and clips down onto your poster. 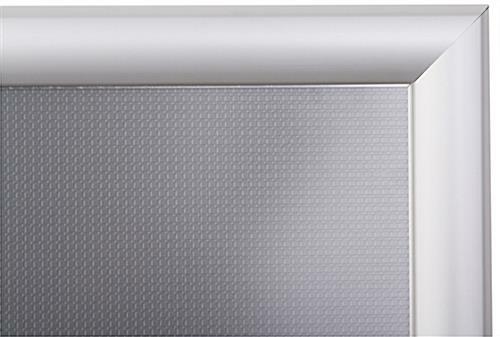 This silver 36x48 snap frame that mounts to the wall is perfect for locations requiring frequent sign changes. Each unit also comes with a plastic overlay. The clear non-reflective overlay will prevent dust and other damaging elements from getting onto the artwork. 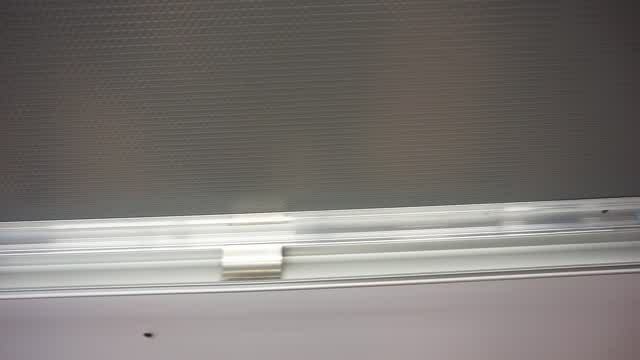 With this advertisement display, there is no need to remove the unit from the wall! Once the poster holder is mounted on the wall, pictures can be easily load and unload from the front. 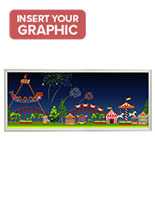 This advertisement display is sold with necessary hanging hardware included for wall-mounting. These wall frames are available in a black finish as well (please see related products on the right hand corner). Graphic Size: 36" x 48"
Viewable Area: 34-3/4" x 46-3/4"
37.8" x 49.8" x 0.875"